A flashing blue power light on a Synology DS214+ NAS device is usually a symptom of a motherboard failure. When the motherboard of your PC, server, or NAS device fails, your device’s individual hardware components can no longer communicate with each other. As a result, your device cannot start up at all. 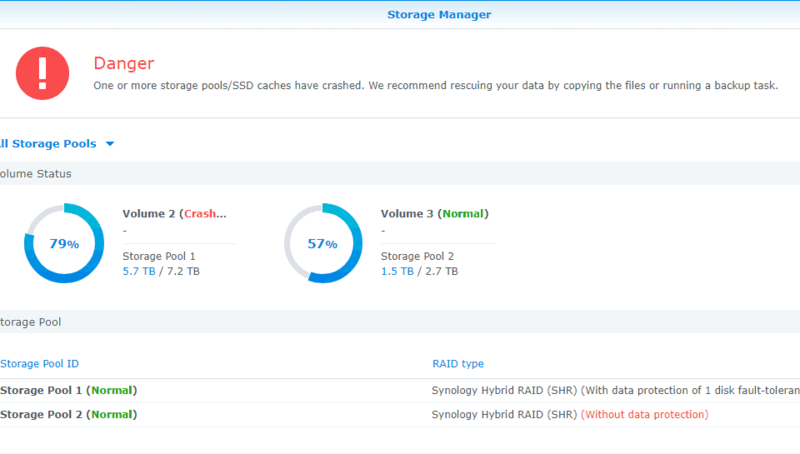 Blinking light on your Synology NAS giving you the "blues"? Gillware is here to help. Why Is the blue light blinking on my Synology DS214+? If your Synology DS214+ still has a flashing blue power light at this point, the motherboard is the source of your problems. You will need to contact Synology support in order to have the motherboard replaced. It is also possible that your NAS device’s power supply unit is not sending sufficient amounts of power to the rest of your NAS device’s components. 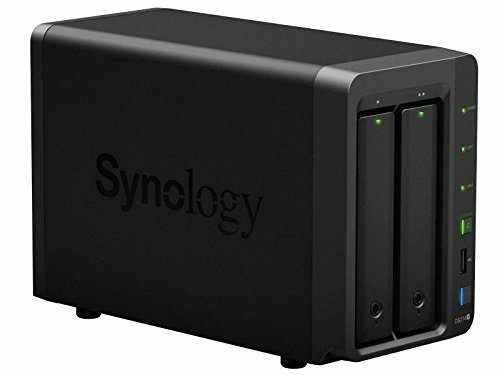 Other parts, such as the cooling fans or power supply unit, can be ordered through Synology’s website. If you hear a loud beep within one minute followed by a steady blue power light, then your NAS device’s components are fine. If your NAS device still ceases to function properly once you reconnect your NAS and reinsert your hard disk drives, the problem may lie in the hard drives. 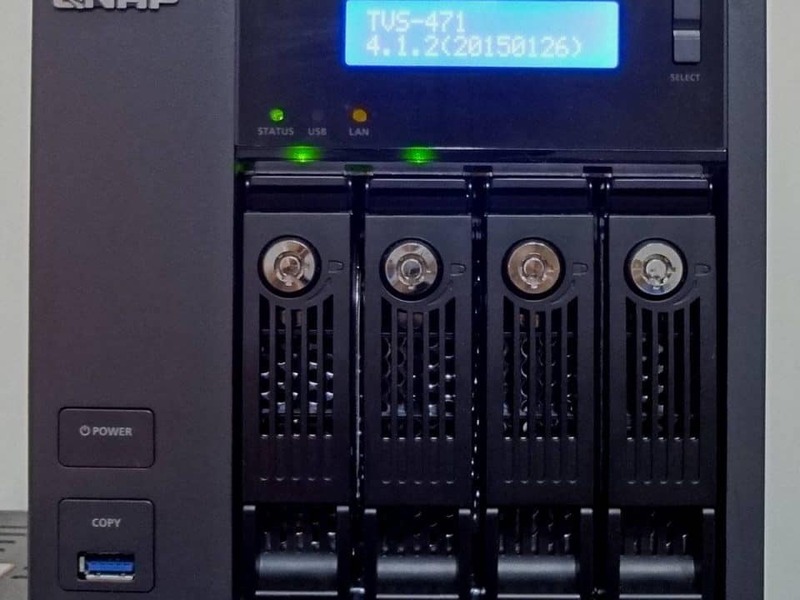 Our client in this case study had this exact problem with their own Synology DS214+ NAS device and determined that the fault lay in at least one of the two 3TB WD Red NAS hard drives installed in the device. The drives had been configured in a RAID 0 array, and so a single hard drive failure was enough to take down the whole volume. RAID 0 arrays, which combine two or more hard drives into a single volume, offer greater performance and much higher capacity than a single hard drive. Data is stored in pieces spread across each drive in the array so that data can be written to or read from multiple drives simultaneously. However, they offer no redundant fault tolerance. As a result, if one drive fails, the entire array falls offline. 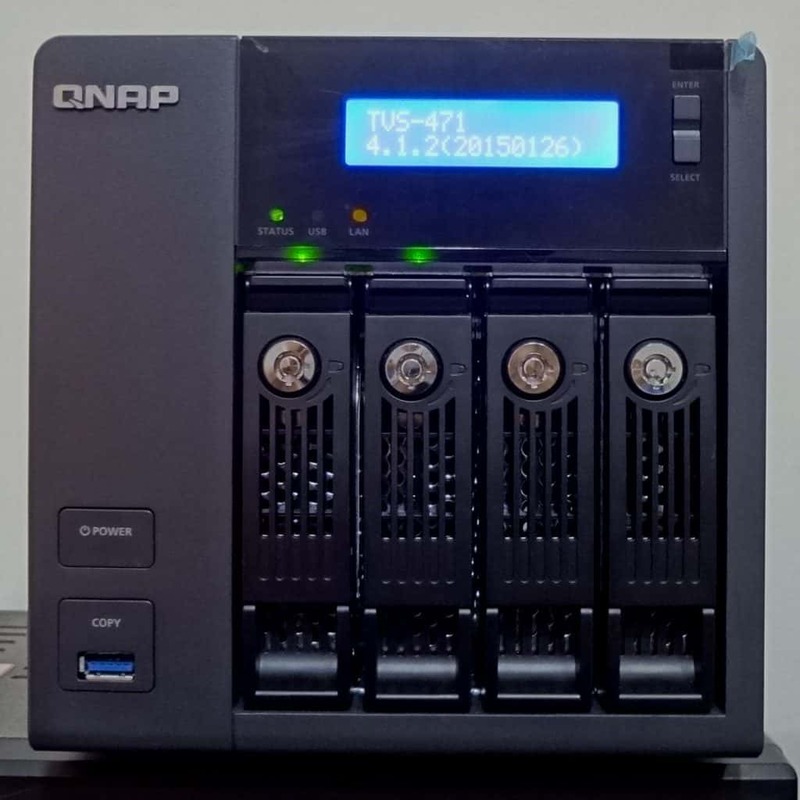 NAS devices with RAID 0 setups are often preferred for users who work with video editing or other tasks which require the streaming of large files because RAID 0 provides a large storage volume with greater read and write speeds. However, unlike other RAID levels, such as RAID 1 or RAID 5, the array does not duplicate any data so that it can keep running even after one hard drive fails. Our engineers took a look at the two hard disk drives from this failed RAID 0 array and found that both hard drives had failed at around the exact same time. This isn’t as uncommon of an issue with RAID arrays as it might seem. Many people, when purchasing the hard drives for their NAS or server (or when allowing the NAS device manufacturer to stock the drives) will end up with multiple hard drives all of the same brand and model number because they will source them from the same vendor, from the same manufacturer, at the same time. These hard drives end up being twins who came off the assembly line within minutes or hours of each other. On top of that, because both hard drives suffer through roughly identical workloads, they tend to have similar lifespans as well—resulting in both failing around the same time. Gillware’s experts, who have seen hundreds of RAID failures apiece in their careers, recommend stocking NAS devices and servers alike with various brands and models of hard drive in order to avoid this phenomenon. When you need data recovered from a NAS device, you can depend on Gillware’s specialists to do the job right. Although both hard drives had failed, both only required very simple fixes. With our lab’s specialized tools and equipment in conjunction with years of experience, our engineers chewed up these drives for breakfast and recovered all of the client’s important data. 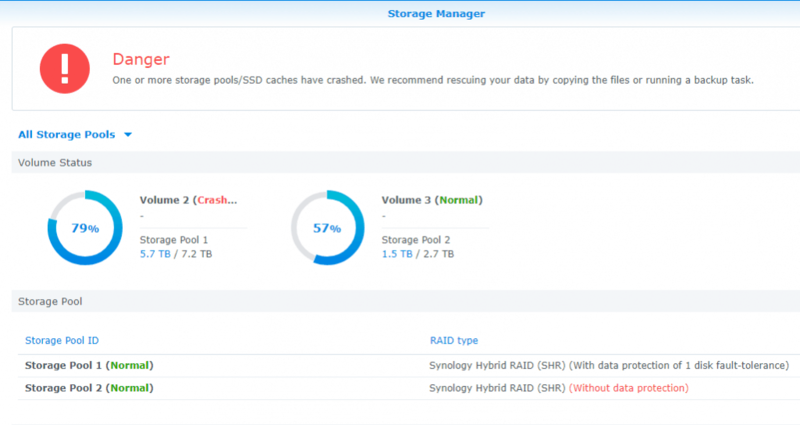 A crashed Synology storage pool can be difficult to repair; you may need help from a professional lab to recover your data.